First off, I have to say that this was an excellent film. The actors were phenomenal, the direction was on point and the action was intense. Being that many of my friends saw the movie before me and raved about how good it was, I walked into the theater expecting a great movie. Thankfully, Man Of Steel didn’t disappoint. They changed quite a bit of Superman’s backstory, but they didn’t stray too far from the beaten path. They just enhanced it and added little twists here and there. I particularly liked the storyline’s direction and the flashes of Clark Kent’s childhood during the story. Most of us already know the tale of his childhood, from the past Superman movies and of course the old CW series Smallville. 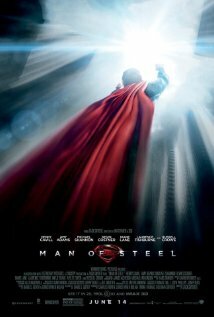 However, the way they laid it out in ‘Man of Steel’ made me feel like I was introduced to Clark Kent/Superman for the first time. Oh, I loved the new suit! Now there were some parts of it that gave me a little deja vu. I noticed elements were taken from other movies for the development of the planet Krypton and the creatures that resided there. That fact didn’t take away from the whole experience of the movie though. Henry Cavill as Superman/Clark Kent/Kal-El ~ Not only was Cavill stupid freaking hot in this movie, he embodied a more emotional Superman. He took this role and modernized it, made it fit the world we live in now. Even the way he spoke registered as a Superman of this day. When I first found out Cavill was going to be the new Superman, I was doused with excitement. I’ve followed his career ever since he was a young buck. I remember him as Albert Mondego in one of my favorite flicks, The Count of Monte Cristo, Charles Brandon in the series The Tudors and Theseus in the movie, Immortals. And now he’s Superman! I’m almost sure he won’t live this role down any time soon, because so far he is the best Superman. Don’t get me wrong. Reeves will always be Superman in our hearts, but in this new day and age, Cavill has owned this character and taken him to a-whole-nother level. I think he deserves the Superman cape. Amy Adams as Lois Lane ~ Finally! A Lois Lane that isn’t annoying as hell. Thank you writers of Man of Steel! I’ve never been a Lois Lane fan, even though Superman loved her to death. In my opinion, every Lois Lane before this one expressed her annoying demeanor and personality, more so, the Lois Lane from Smallville. Ugh, I could not stand her. That aside, I loved the way Amy portrayed this character. Of course, she was nosey and curious like any reporter, but she was likeable, to me at least. She did some things in this movie that the old Lois Lane would’ve never done, like the right thing for the sake of mankind for instance. The old LL was selfish, all about getting her story out and didn’t care who she had to exploit to do it, but this new LL had a fairly sizeable conscious and actually listened to reason. Yeah, I was shocked too. *Please Lois Lane fans, don’t send me any angry messages. * LOL! Russell Crow as Jor-El ~ OH MY GOD! Best Jor-El EVER! Russell Crow owned that role! We all know he’s an exceptional actor. Well he reminded us of that fact in this movie. Jor-El was a badass. When General Zod accosted him like he was merely some defenseless scientist, he put Zod on his backside. *grin* Loved that scene! What I liked most about his character was that he was more dangerous in death than alive. 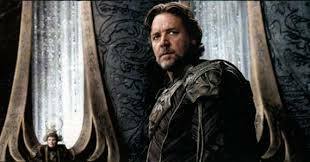 Sure, he showed his physical strength when he went up against Zod and his army, but he displayed his brilliance and never-ending power in the afterlife when his son needed him. He was a soul that never died. I was awestruck while watching him. Someone needs to give him an award for that role. Seriously. 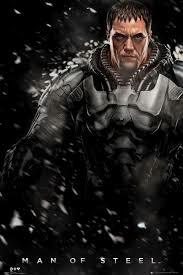 General Zod had a deep-seeded cause for his madness and his passion to see it through was relentless. I feel Michael expressed that passion beautifully. Yeah, he was the bad guy and pretty damn crazy, but his goal had merit. No, I don’t agree with wiping out the human race to achieve this goal. Genocide is never the answer. *grin* But his will and determination to rebuild his world on earth could be felt through the screen. He would stop at nothing, not even Superman, to get it done. Michael delivered an applause-worthy performance. 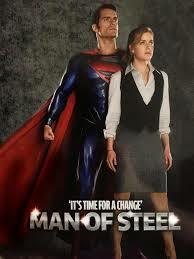 For the record, I will be going to see the Man of Steel a second time, just for the action scenes. This entry was posted in Review and tagged Action movie, Amy Adams, Clark Kent, General Zod, Henry Cavill, Jor-El, Kal-El, Krypton, Lois Lane, Man of Steel, Michael Shannon, movie review, Russell Crow, Smallville, Superman. Bookmark the permalink. 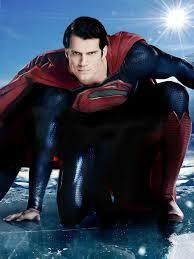 My thoughts on the Man of Steel! Love the review!! TOTALLY agree about Lois Lane!! LOL!